Money is an issue for many people, living pay check to pay check can be stressful and things happen that you have no control over, so picking up a bit of extra cash might be essential. 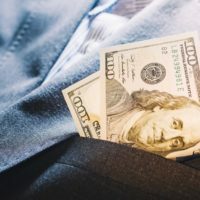 Here are some of the ways that you can make more money. 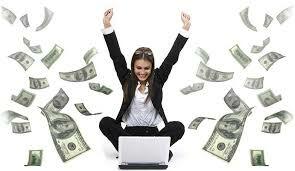 A good way to make some extra cash quickly is to fill out online surveys. The great thing about this is that there is a near endless supply of surveys to be filled out as many research companies are looking to find answers and for people to test new products. 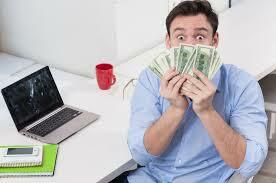 This can land you up to a few pounds for a few minutes of work and this can either be paid in cash or rewards. Kind of like online surveys, ‘get paid to’ sites reward you for completing various offers and activities online. Apps such as Uber and Deliveroo allow you to work as little or often as you want. 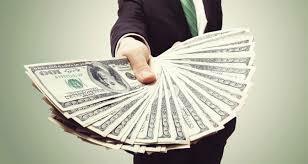 This gives you a quick and easy way to make some extra cash without quitting the day job or having to give up too much. There are many other apps that offer similar service based work including repairs and graphic design. An effective way to make money, that many people take advantage of is the fact that you can now sell your stuff online. You obviously don’t need to sell all of your belongings. But this can be extremely beneficial for those who are looking to get rid of items that in perfectly good condition to be sold. The famous mantra “one man’s trash is another man’s treasure” has never rung truer. If you have a social media account that has a large following, it could be an idea to become an affiliate with another company. There are some websites that offer positions like this and some bigger companies have their own affiliate programs to try and recruit people to advertise for them. Just ensure that your following is going to be interested in the product or service that you choose to promote. For some promoters, you will need an active website that gets a lot of traffic coming through it. This can be one of the trickiest on the list, especially if you don’t currently have a large following on a social media site. Sites such as TopCashback offers cashback to people for shopping in certain places. These offers will change and sometimes you can end up getting things, like food, for free. If you have a skill or a qualification that you are currently doing nothing with, then tutoring may be the right option for you. As long as you are teaching people to the same level or below the level of your degree then it should be pretty smooth sailing. You can get guides for lesson plans online and although you may have to spend a bit of extra time getting things ready, the payoff can be big and the more qualified you are, the more you can charge.